The other day, documentation from the FCC and the Bluetooth SIG revealed that Samsung's Gear IconX sequel is on the way. The Samsung Galaxy Buds, as the accessory appears to be named, will come with 8GB of native storage, up from the 4GB found on the Gear IconX, and will support Bluetooth 5.0. The Galaxy Buds also come in a carrying case that they can be recharged in. Last month, we told you that a photo of a controller that will be used at Samsung demo booths showed an option that will allow consumers to learn more about a reverse wireless charging feature on the Galaxy S10 range. Previous rumors have already revealed that this new capability has a name, Powershare. Today, that feature was "confirmed" thanks to a press image published by WinFuture (translated). The photo shows the Galaxy Buds case charging on the back of a Samsung Galaxy S10+. While the reverse wireless charging feature does come in handy, keep in mind that the source of the power used to charge the Galaxy Buds case, or another phone that supports wireless charging, is the battery inside the Galaxy S10/S10+. In other words, you can use one of Sammy's new flagships to power up compatible devices, but it comes at the expense of the battery life remaining on your phone. We might have to wait until the Samsung Unpacked event on February 20th to know whether the Samsung Galaxy Buds can be charged on other wireless charging pads. There is a possibility that the size of the case will not allow it to match up with the coils used on dedicated pads. Judging by the photo that is included with this article, the coils used on the Galaxy S10 series match up with the Galaxy Buds carrying case perfectly. If the wireless charging option is not practical, the Galaxy Buds carrying case should offer a port for USB charging. The Samsung Galaxy Buds (SM-R170) will reportedly be available in black, white, and yellow, priced at 149 Euros. That works out to $169.52 USD at current exchange rates, although it does not necessarily mean that the ear buds will carry that price in the U.S. 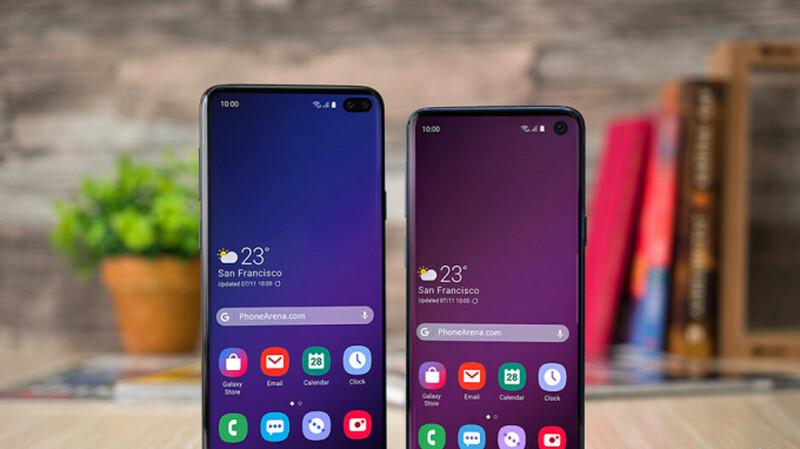 According to one tipster, in certain countries, those pre-ordering one of the new Galaxy S10 phones before March 7th, will receive a pair of Galaxy Ear Buds for free. The phones are expected to launch on March 8th. It's a triple charger. Airpods, iPhone, Apple Watch can be charged simultaneously. it is 9W vs 5W (Huawei)... practicality are the same. actual use is the same only charging speed is different...you could charge accessories like wireless headphones box or phone if you like. That white S10 looks amazing, getting one. So just because it’s Samsung it’s innovative? Lol if it was Apple you’d all mock it on how Huawei came up with reverse wireless charging first or how gimmicky it is. Nope you have that wrong, thats apple ifans that say apple is innovative when they copy. I am happy they all at some point copy each other, better for us. Give me with the wireless charging ear buds! Cool innovation, but enjoy the less than 1A charging power. Should be fine with tiny batteries found in these earbuds and their cases. The case should take 20 to 40 mins for a full charge if it's around 1A. Meaning, for every hour of play time, a few minutes will suffice. So now we know what to expect from the iconix 2019. Hopefully Samsung borrows a page from Apple’s book, and has them attach with magnets in the case. I can see Apple going with wireless Bluetooth charging over conductive charging. Unlikely because of much lower efficiency, which is more of an issue if the charger is a mobile device like a phone, which in itself is limited in capacity. And you mean inductive, not conductive (physical metal connection, thus not wireless).